Important: To open another person's calendar, both you and the other person must have a Microsoft Exchange account and the account owner must grant you permission. Permissions range from co-owner to view-only. At the bottom of the navigation bar, click Calendar. 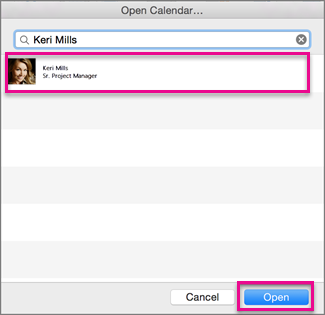 Note: The shared folder appears in the left navigation pane under the Shared Calendars heading, with the person's name who shared the calendar below it. 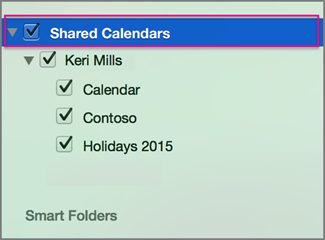 If you have a shared calendar selected in the navigation pane, new items you create will be saved in that calendar. 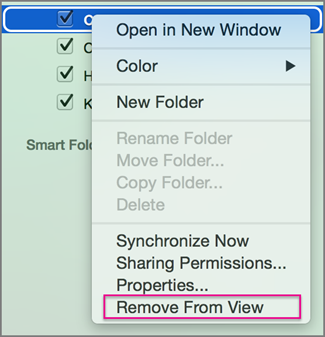 To remove another user's shared calendar from your navigation pane, right-click the folder, and then click Remove from View.